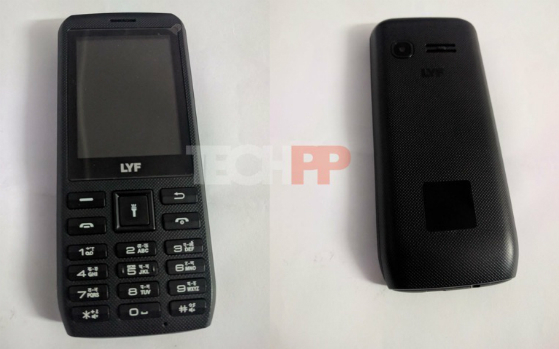 Processor: Jio's Lyf Rs 500 4G VoLTE feature phone may be powered by a Snapdragon 205 SoC, a processor Qualcomm has made specifically for ultra-affordable 4G VoLTE phones. Alternatively, the feature phone may also be powered by a Spreadtrum-based SoC, something that is quite common in entry-level smartphones. -- Going by the speculated spec-sheet of Jio's soon-to-launch ultra-affordable 4G feature phone, well, it seems like it could be a feature phone in just body while offering almost all the features of an entry-level smartphone. -- The phone essentially has an all-plastic candy-bar body design with a textured back. The T9 keypad on-board will support both Hindi and English.The home button in the center will serve as a dedicated shortcut for lighting up the torch as well. -- The feature phone will come with 4G VoLTE support and will support only Reliance Jio SIM (two in-fact), which clearly shows that this phone is aimed at increasing the subscriber base of Jio. Chances are the phone may launch with certain specific launch-day offers as well. -- The feature phone will have a dedicated app store called the KaiOS Plus, and will be able to run some Jio apps like Jio TV, Jio Cinema, and a few more. Moreover, Facebook and WhatsApp support is also said to be on the cards. India price and availability: Reliance Jio will most likely launch its long-rumoured Rs 500 feature phone at its annual general meeting (AGM) on July 21. The company is however not giving away any of its cards yet, which means that we will have to take every speculation around the device with a pinch of salt. Also, chances are -- and going by the speculated specs -- Jio's upcoming phone may cost a little over Rs 500 when it hits the shelves, although it would still be priced at under Rs 1,000.